India’s Intelligence Service RAW trains suicide bombers in Afghanistan to kill innocent poverty stricken Pakistani citizens, who go to Sufi shrines to seek solace from life’s problems. Pakistan’s Armed Forces have broken the backbone of the foreign-backed terrorists by the successful military operation Zarb-e-Azb which has also been extended to other provinces of the country. While, Pakistan’s law-enforcing agencies, especially primary intelligence agency, ISI has broken the network of these terrorist groups by capturing several militants, while thwarting a number of terror attempts. But, the new wave of terrorism which started in the beginning of this year, having a connection in Afghanistan has, again, enveloped Pakistan. In this regard, at least 88 people were martyred and 343 were injured on February 17, this year when a suicide bomber attacked the crowded Sufi shrine of Lal Shahbaz Qalandar in Sehwan, Sindh province of Pakistan. Terrorist organization, the Islamic State group (Also known as Daesh, ISIS, ISIL) claimed responsibility for the attack. On February 15, three suicide bombers targeted Khyber Pakhtunkhwa province and the adjoining tribal areas leaving around seven people dead. One of the incidents occurred in Peshawar where a suicide bomber riding a motorbike hit a vehicle carrying civil judges, while two other suicide bombers blew themselves up at separate locations in Mohmand Agency. At least 13 people were killed on February 13, this year when a suicide bomber struck outside the Punjab Assembly on the Mall Road in the eastern city of Lahore during a peaceful protest of the chemists and pharmacists against a new law. The affiliated faction of the Tehreek-e-Taliban Pakistan (TTP), the Tehreek-e-Taliban Pakistan Jamaat-ur-Ahrar (TTP-JA also known as JuA) took responsibility for the deadly suicide bombing in Lahore. Terror attack in Lahore coincided with the incident in Quetta-the provincial capital of Pakistan’s Balochistan province, where at least one policeman was killed and five people were injured on February 13, 2017, in an explosion occurred on Sariab road. Besides, more than 24 people had been killed in an explosion which ripped through a crowded marketplace in Parachinar Kurram tribal agency on January 21, 2017. Soon after the incident, Afghan-based TTP claimed responsibility for the blast in Parachinar. At least 65 people were killed when a blast struck at the shrine of the Sufi saint Shah Noorani in Balochistan’s Hub Tehsil on November 12, 2016. ISIL had accepted responsibility for the attack via Amaq, its affiliated news agency. Earlier, the affiliated group of the TTP, TTP-JA took responsibility for a deadly suicide bombing in Quetta, which killed at least 74 people on August 8, 2016, in an assault at the government-run Civil Hospital. However, the suicide bombing at Lal Shahbaz Qalandar is the worst single attack since the TTP militants massacred about 150 students at an army school in Peshawar in December 2014. Pakistan’s military and civil high officials strongly condemned the attack and recent terror attacks by pointing out their connection in Afghanistan. In this respect, a statement by the Inter-Services Public Relations (ISPR) said that senior Afghan diplomats were summoned to the General Headquarters (Of army) over the recent spate of terrorist attacks in Pakistan and asked to ensure that immediate action was taken against the Pakistani terrorists living in safe havens in their country. The army, which took the lead in dealing with Afghanistan over the terrorist sanctuaries there, had soon after the Sehwan shrine attack announced the closure of the border crossings with Afghanistan citing security reasons. Gen. Javed Bajwa had called Gen John Nicholson, commander of the US’s Resolute Support Mission in Afghanistan through the telephone to protest continued acts of terrorism in Pakistan perpetrated from Afghanistan, saying that they were testing Pakistan’s policy of cross-border restraint. Taking note of the terror assault in Sehwan, including the recent ones, Pakistan Army targeted a training camp of Jamaat-ul-Ahrar and militant hideouts located close to the Pak-Afghan border in areas adjacent to Mohmand and Khyber agencies. The Foreign Office of Pakistan said that Afghanistan had been asked to address concerns about the presence of terrorist groups on its soil, which are behind the latest wave of terrorism in the country. It is notable that Punjab Chief Minister Shahbaz Sharif, while addressing a press conference on February 17, this year claimed that the suspects involved in planning and carrying out the Feb 13 suicide bombing on a protest at Lahore’s Charing Cross (Mall Road) belonged to Afghanistan. Sharif also announced the arrest of the facilitator of the attacker, Anwar-ul-Haq who he said belonged to Fata’s Bajaur Agency which neighbours Afghanistan. The suspect’s confessional statement was aired during the briefing. The suspect stated, “I was associated with Jamaat-ul-Ahrar and they trained me”, adding that he has visited Afghanistan around 15 to 20 times. 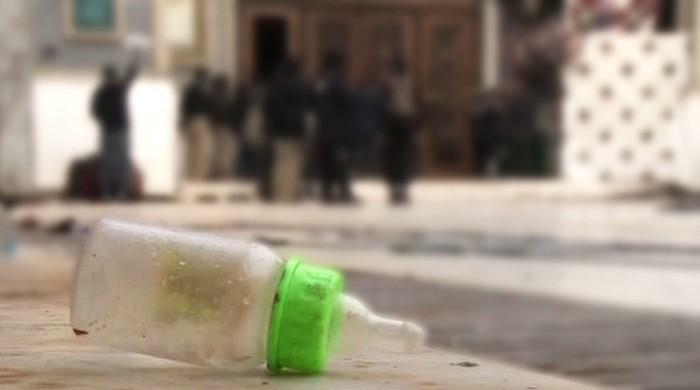 The police officers involved in the investigation into the incident of Mall Road, Lahore revealed that Jamaat-ul-Ahrar is an offshoot of the Tehreek-i-Taliban. Nevertheless, Pakistan has been hit by a series of terrorist attacks since Jamaat-ul-Ahrar (JuA) announced its ‘Operation Ghazi’. The Afghanistan-based JuA had in the announcement also hinted at the unification of TTP splinter groups. 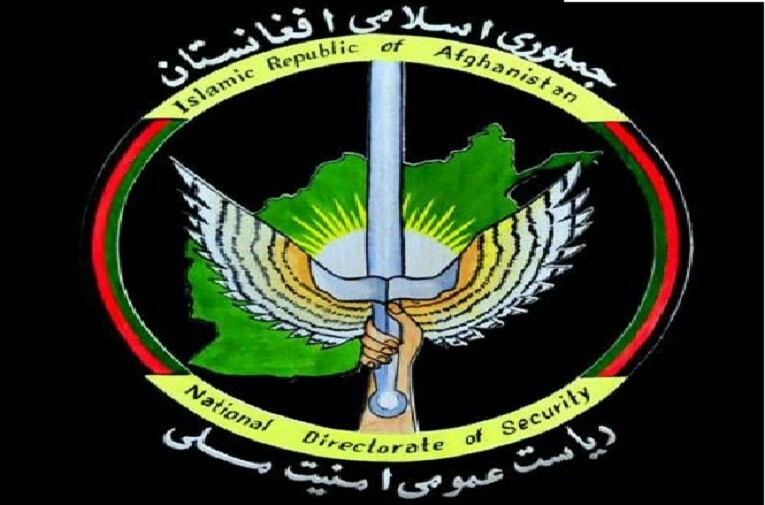 Notably, as part of the dual strategy, CIA, RAW, and Mossad are in connivance with the Afghan intelligence agency, National Directorate of Security (NDS) and other terrorist groups. With the latest capture of six NDS supported terrorists in Balochistan, the number of NDS backed terrorists arrested and killed by Pakistani intelligence agencies has crossed over 126. These external secret agencies are particularly supporting the TTP which is hiding in Nuristan and Kunar provinces of Afghanistan. Reportedly, Mullah Fazlullah led TTP was being prepared to carry out a fresh wave of terror activities inside Pakistan, as the latter has become the center of the Great Game owing to the ideal location of Balochistan. Located on the southwestern coast of Pakistan, Balochistan’s Gwadar seaport is close to the Strait of Hormuz from where more than 17 million barrels of oil passes every day. Its location among South Asia, the oil-rich Middle East, and oil and gas-resourced Central Asia has further increased its strategic significance. Besides, Balochistan’s abundant mineral resources irritate the eyes of the US, India, and Israel which intend to weaken Pakistan for their collective aims, as the latter is also the only nuclear country in the Islamic World. 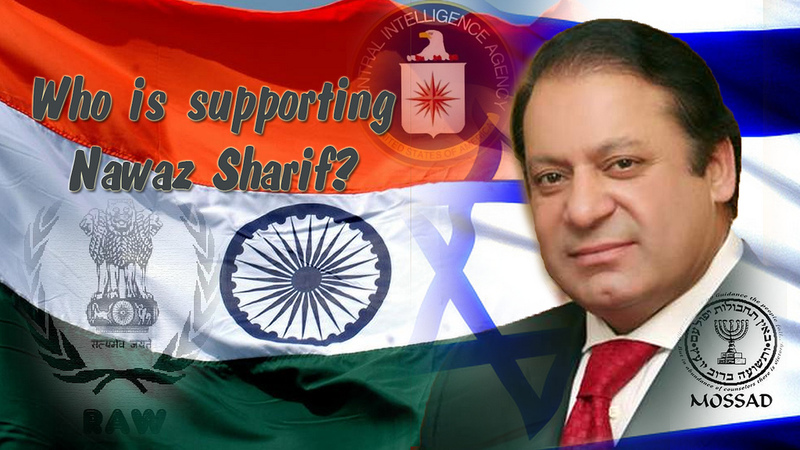 In case of Balochistan, every Pakistani knows that the militant outfits like ISIS and separatist groups like the Balochistan Liberation Army (BLA) and their affiliated groups, including Jundollah (God’s soldiers) and Lashkar-i-Janghvi which have been creating unrest in the Balochistan get logistic support from RAW and Mossad with the tactical assistance of CIA. In the recent years, these terrorist outfits massacred many persons through suicide attacks, bomb blasts, targeted killings and sectarian violence. These externally-supported insurgent groups had kidnapped and killed many Chinese and Iranian nationals in Pakistan including Iranian diplomats. They have claimed responsibility for a number of terror assaults, including those on Shias in Balochistan and Iranian Sistan-Baluchistan. 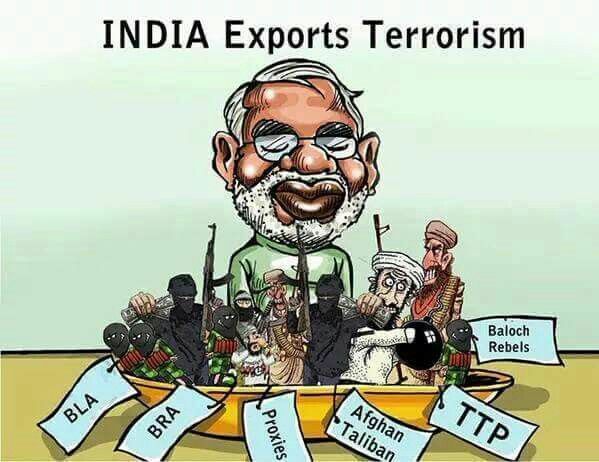 As a matter of fact, like Syrian war, as part of the dual strategy of their countries, CIA, RAW and Mossad are especially using ISIS terrorists who are behind the latest blasts in Balochistan to obtain the covert aims of their countries against Pakistan, China, and Iran. It is of particular attention that arrest of the Indian spy Kulbushan Yadav in Balochistan has exposed Indian undeclared war against Pakistan. While addressing a joint press conference with the then Federal Minister for Information Pervaiz Rasheeda and former Director General of ISPR Lt. Gen. Asim Saleem Bajwa said on March 29, 2016, “Kulbushan Yadav’s arrest is a rare case that does not happen very often.” He disclosed that Yadav was an active officer of the Indian Navy prior to his joining RAW. He also served as a scrap dealer and had a jewelry business in Chahbahar, Iran, after he joined RAW in 2013. A video was also shown during the press conference in which Yadav confessed that he spied for India. Yadav admitted that he was assigned with the task to create unrest in Karachi and Balochistan by stating, “I supported the individuals who worked to destabilize Pakistan…I promoted the criminal mindset that was there in Balochistan.” Another task assigned to him was to target the Gwadar Port. Yadav also confessed—funding Baloch separatists along with other terrorists. During an investigation, RAW agent Yadav admitted that during his stay, he contacted various Baloch separatist leaders and insurgents, including Dr. Allah Nazar Baloch, to execute the task to damage the China-Pakistan Economic Corridor project. Meanwhile, Pakistan’s security agencies uncovered another ring of Indian spies in the country, working as under covert agents, found involved in subversive activities to destabilize Pakistan. 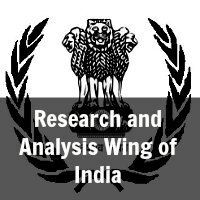 In this connection, on November 2, last year, Islamabad disclosed that five Indian diplomats who were serving at the Indian High Commission in Islamabad found to be part of the RAW spy network and were involved in subversive activities by facilitating and funding terrorism. They were declared as persona non grata and expelled from the country. Undoubtedly, almost all the terrorists or terrorist groups and insurgency in Pakistan, especially have their connection in Afghanistan. The porous border between Pakistan and Afghanistan is frequently used by human and drug traffickers, criminals and terrorists. Their easy access through unguarded porous border provides an opportunity to miscreants to cause havoc inside Pakistan and Afghanistan. For the effective counter-terrorism measures strong border, control management is vital at Pak-Afghan border. But, Afghan rulers are using delaying tactics in this respect. Taking cognizance of the anti-Pakistan intruders, Pakistan’s army had decided to build a fence along the border and to control the border crossings. The strategic project of the 1,100-kilometre-long trench with the cost of Rs14 billion which was initiated along Pak-Afghan border in Balochistan by Frontier Corps in 2013 has been completed last year. In the next phase, the project will be extended to the entire long border with Afghanistan which had opposed this plan. The issue again came to the limelight on June 12, 2016, when Afghan security forces started unprovoked firing at Torkham border crossing, resulting in injuries to more than 16 Pakistani citizens, including the martyrdom of some Pakistani security personnel. The aim was to stop Pakistan from the construction of a gate. Durand Line has not been drawn by Pakistan, but it was declared borderline by British representative Sir Durand and Afghan Ameer Ghazi Amanullah Khan in 1919. People of Pakistan’s province of Khyber Pakhtunkhwa and FATA (Tribal Areas) opted to join Pakistan in 1947. So, it is a declared borderline and Afghan government has no right to object on any construction along with the Durand line. Pakistan is committed to tackling the problem of terrorism mainly emanating from Afghanistan. Therefore, the effective border management becomes imperative to control all the terrorism-related infiltrations, drug smuggling etc. Moreover, effective border management will also facilitate both countries to come out of blame game, as it would offer a strict check on both sides to counter the free movement of terrorists and drug mafia lords, who are the important factors of deteriorating security situation in Afghanistan and its obvious backlash on Pakistan. Besides, Afghan peace and reconciliation process is a reality despite its slow pace and continual interruptions. The positive trajectory of constructive relations between Islamabad and Kabul raised alarm bells amongst the US-led adversaries who are attempting to affect the progressive Pak-Afghan relations through smear and sinister scheming. Pakistan and Afghanistan have previously suggested many initiatives to resolve their differences. However, as fast as these solutions had emerged, they have disappeared due to lack of follow-up. Afghanistan and Pakistan have no other option, but to cooperate and resolve their differences through political and diplomatic dialogue. And there is a huge lack of trust between the both sides. Hence, it is imperative for both the countries to develop a framework for strategic dialogue, focused on short, medium and long-term solutions. As a trust-building initiative, an effective border management mechanism will be beneficial for the two countries. Such an establishment will also plug in many loopholes, being manipulated by the terrorist outfits to conduct cross-border terrorism. We may conclude that besides the previous terror-events, the recent incidents of terrorism in Pakistan have a connection in Afghanistan. QUETTA: Chief Minister Balochistan Sanaullah Zehri has slammed Baloch leader Barhamdagh Bugti, the exiled leader of Baloch Republican Party, for making anti-Pakistan statements and asserted that ‘those fuelling propaganda from foreign land’ have no support at home. He was addressing a conference condemning Indian interference in Balochistan at Quetta Law College. Mr. Zehri said Modi’s controversial claim that the Baloch people had thanked him for his support of the “so-called insurgency” in the province was senseless. The chief minister said no one could detach Balochs from their homeland. “A handful of people are shedding blood of their own brothers for the sake of some ‘peanuts’, said the CM. Balochistan Home Minister Sarfaraz Bugti said Indian PM Narendra Modi was a murderer of thousands of innocent Kashmiris and Pakistanis. The conference was attended by a large number of students and civil society members. Earlier in the day, the Indian premier’s speech on Aug 15, India’s Independence Day, triggered protests across Balochistan, with large numbers of tribesmen taking to the streets in protest in several parts of the province. Political leaders, civil society members and citizens in large numbers took out rallies holding placards against Indian PM and their government. In Chaman, protesters burnt effigy of Narendra Modi and Brahamdagh Bugti for their anti-Pakistan statements. They expressed their anger on campaign launched by the Indian premier and Baloch leader to defame Pakistan and project Balochistan in bad light at international level. Pakistan Tehreek-e-Insaf workers led rallies in Dera Murad Jamali and raised slogans against India. Persistent protests blocked the main highway in Balochistan.